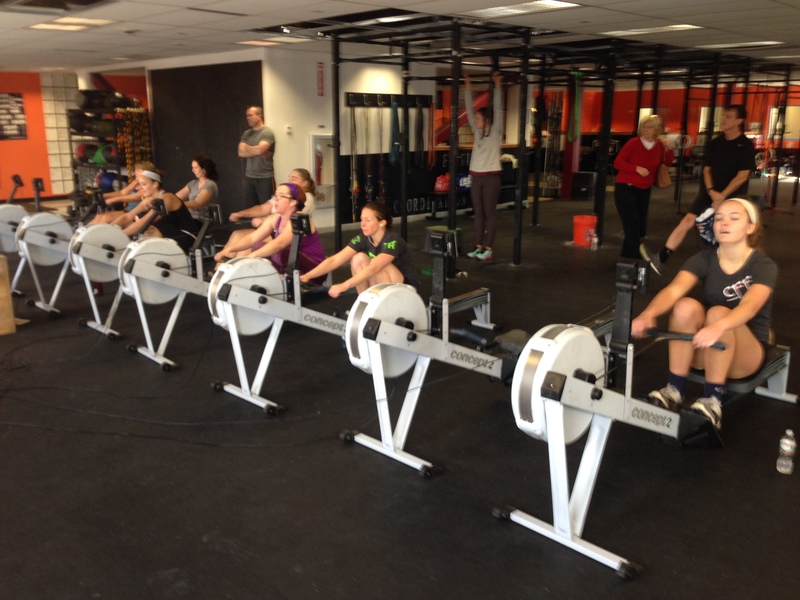 The women getting after their 2k at the Renegade Rowing League – next race is January 25th! What stroke rating are you most efficient at? Use today’s Rowing WOD as an opportunity to gain confidence and figure out what your most efficient race pace is for the next time you have to do a 2k or 1k… perhaps the Renegade Rowing League coming up on Saturday, January 25th at 11am? Get after it and get ready to race! Post your best average split and the stroke rating you maintained. Note whether it was because you were fresh or because that stroke rating seemed easier for maintaining a faster split. This entry was posted in Fitness, Rowing, Strength and tagged endurance sports, exercise, functional movements, row 2k, rowing, sports, training by Renegade Rowing. Bookmark the permalink.